The Mystic places a trap that when triggered slows enemies and pulls them into the ground. After a while, it deals damage to them and stuns them for a duration. 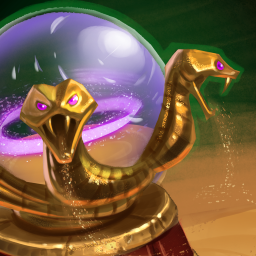 Snaking sands pull enemies to the center of the trap after a while it trigger sandstorm that start to dealing damage to enemies for a while and stun them.